Home / Stories / A NEW LEAF ON LIFE. A NEW LEAF ON LIFE. No, your eyes aren’t playing tricks on you. That new page on the calendar really does say “October,” the month when daylight grows sparse, autumnal air curls the leaves and pint-sized apparitions appear at the doorway, demanding donations of candy. But don’t be spooked; here on The People’s Coast, the weather is still glorious, the fall foliage only serves to brighten our outlook and this month’s bounteous array of festivities, outdoor activities and out-n-out revelries will certainly lend a whole new lease on life. Treat yourself to the possibilities. Talk about brewing up a guten-tag! Toast the good life at the Artober Brewfest or Octoberfest German food and beer festivals in Lincoln City, and don’t be a saurkraut. Tour the Brandy Peak micro-distillery and sample the fruits of their labor in Bandon. Experience the whole enchilada of Latino arts and culture at the “Dos Culturas – Una Comunidad” celebration in Newport. Get jazzed at the Oregon Coast Jazz Party in Newport or the Swing Fever Concert in Lincoln City. Join the other go-go girls in the annual “See Jane Run” women’s walk and run event in Coos Bay. It may be true that a rolling stone gathers no moss, but we must admit that despite our incredibly active lifestyles here on The People’s Coast, there is a fungus among us. And it’s delicious! Roll into Yachats or Lincoln City and learn how to identify, forage for and cook up wild forest mushrooms at the Village Mushroom Festival or NW Wild Mushroom Cook-off. And have a little fun with the fungi. Tired of settling for watered-down experiences in your life? Try a jet boat tour of the Rogue River or a guided kayak tour of the reefs and waterways in Gold Beach. Explore the Siltcoos River Canoe Trail in Coos Bay. Search for hidden treasures by kayak in Tillamook or by foot on the beach at Lincoln City. Take a whale-watching excursion in Depoe Bay. Marvel at the new seal pups at the aquarium in Seaside. Experience the majesty of native wildlife from the comfort of a 40-foot yacht during an eco-tour of the mighty Columbia River in Astoria. Really, yachta try it all! Get out of your shell and tour Oregon’s oldest oyster farm in Newport. Or, hey, search for your own Great Pumpkin and enjoy a hayride at Mahaffy Ranch in Coos Bay. Learn the secrets to making great pasta or let the chefs prepare you small plates of fresh crab and the best of our local harvests in Lincoln City. Try the fresh, homemade fudge and ice cream at the Cheese Factory in Tillamook. You’ll find more delicious fare at the Chef’s Table in Coos Bay, Restaurant Beck in Depoe Bay, the Culinary Center in Lincoln City and at local farmers’ markets up and down the coast. And we can’t clam up about the fact that you won’t have to shell out the big bucks to enjoy the freshest of ocean-fresh seafood when you go crabbing or clamming in Garibaldi’s Tillamook Bay. Here’s some more music for your ears. This month Chinook Winds in Lincoln City is presenting concerts by both the “Redneck Woman” Gretchen Wilson and “Silent Lucidity” heavy metal dudes Queensryche. On the lighter side, they’ll keep you rolling in the aisles at their Comedy on the Coast shows. Rent a boat or volunteer to help keep the environment clean in Lincoln City . Take surf lessons in Newport . Rent a bike in Newport or Waldport. Pedal the Three Capes Scenic area between Tillamook and Pacific City. Stand up and paddle the surf in Toledo. 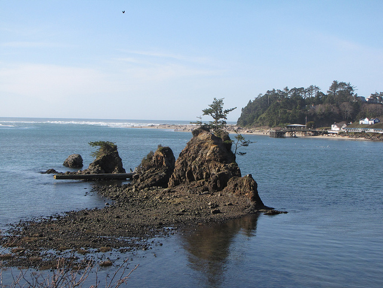 Take a hike in Coos Bay or Yachats. And if you’re an air apparent you can soar above it all at the new zip-line park in Warrenton or learn kite-making skills and watch the experts perform at the Fall Kite Festival in Lincoln City. What, still not tired out yet? Great! Let’s keep going! There’s a wine walk and the Solar Home & Green Living Tour in Coos Bay. The slightly twisted “Masquerade” art show in Newport. The Glass Art opening reception in Lincoln City and Art Walk Bus Tour in Florence. Plus a production of “One Flew Over the Cuckoos Nest” in Astoria. You’d be crazy to miss that. Mobility issues should never pose a barrier to your enjoyment of The People’s Coast, and we’re here to help. You’ll have ready access to beach accessibility equipment, including beach wheelchairs and walkers in Lincoln City, where you’ll also find free bicycle repair kits for your use. Okay, okay; now we’re even starting to get a little worn out, despite the incredibly active lifestyles we normally lead. So allow us to lead you to a few choice spots where you can rest your weary head, at least for as long as it takes you to get ready for your next adventure. For road-weary bicyclists, the Sea Haven Guest House in Rockaway Beach offers an accommodating six-bedroom home to ease those saddle sores, and the Oregon Parks and Recreation Department has camping spots reserved exclusively for hikers and bicyclists. In Pacific City, the Inn at Cape Kiwanda continues to offer its Three Cape Escape Package, the kindly concierge at the Cottages at Cape Kiwanda will help you arrange a six to nine hour fishing trip with a local guide and the Coho Oceanfront Lodge is offering a choice of a Beach Bonfire or Kids’ Beach Package. 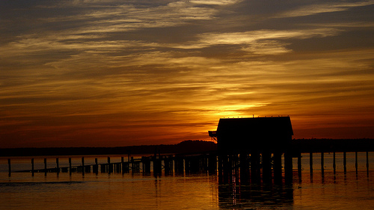 Driftwood Shores in Florence provides a central location within easy reach of an array of coastal activities. And in Newport this month you’ll find discounts at both the Whaler and Little Creek Cove, and dog-friendly rooms or cabins at the Silver Surf Motel in Yachats. There’s really no trick to treating yourself to a great fall experience here on The People’s Coast. It’ll put a spring in your step. Don’t let the memories of your visit to The People’s Coast fade away like an early summer tan. The main thing we want to stress is that you can preserve your memories by sharing them with us online, on Facebook or on Twitter. Don’t forget now, okay? Our new Official Oregon Coast 2012-2013 Visitor Guide has everything you’ll need to discover the quintessential viewpoint, the ideal hiking trail and the vacation of a lifetime. Get your copy now. It’s free for the asking! The Annual Lincoln City Cultural Center Glass show and exhibit will kick off with an opening reception. The Exhibit will show from Oct. 5 thru Oct. 29 in the PJ Chessman Gallery located in the Cultural Center. Visit various downtown businesses to wine taste and shop. Commemorative wine glasses and maps will be sold for $10 each at the Coos Bay Visitor Center. Don’t miss your chance to see today’s ultimate “Redneck Woman” when she stops at Chinook Winds. Tickets are on sale now at the Chinook Winds Box Office, by phone or online. Reserved Seating Tickets: $40- $55. Must be 16 or older to attend. The Performing Arts Center will be hosting the 9th Annual Jazz at Newport. During the weekend, jazz aficionados may engage performers in an interactive Jazz panel. Finally, for those who simply wish to experience the music in a simple yet meaningful way, there are a number of concerts planned, both during the day and in the evening. Join us at the Pacific NW Wild Mushroom Cook-off held at the Culinary Center in Lincoln City. Admission is free, with tasting-sized portions available for a small fee. Enjoy a live cooking competition, wild mushroom identification, food vendors, wild mushroom books, wild mushrooms for sale, mushroom foraging tours, and more! The Artober Brewfest – featuring over 40 Artisans, Craft Beers, and Culinary Craftsmen, is a family-friendly celebration of the great bounty we have here in Lincoln City, on the beautiful Oregon Coast. The Festival is located on the lawn area of the Lincoln City Cultural Center and is will be held from 11:30am to 8:00pm. There will be a special glass art drop of 50 sand dollars or crabs along the 7.5 miles of Lincoln City Beaches, weather/ocean conditions permitting. Spend a day learning about new earth-friendly designs to add beauty and increase value of local homes and offices. Tour starts with a no-host continental breakfast at Black Market Gourmet from 8:30-9am. Guided tour bus leaves parking lot at 9:30am. Cost is $5/person. For more information visit www.southcoastrunningclub.org or call 541-290-3243. Swing Fever is dedicated to the music of the Swing Era, playing it as critic Phil Elwood said, “as though the numbers are on today’s Hit Parade.” Clever, fun, romantic, moody, witty – here is wonderful, classic music presented in its full emotional range. Swing Fever has been performing jazz of the 1930’s and 40’s since 1978. 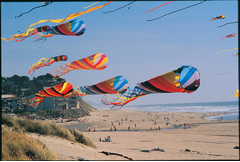 Fall Kite Festival at D-River Wayside – As Lincoln City’s “original” Kite Festival, help us celebrate 34 years of fun. This year’s theme is “Stars & Stripes”. Enjoy demonstrations by expert fliers, kid’s kite making, kite-making workshops, and more fun in the sand! Masquerade Show featuring masks of course, Emotive Art and perhaps things twisted in keeping with Fall and Halloween. 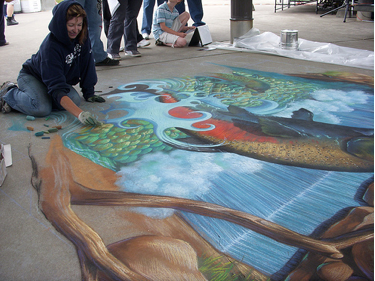 We will be showcasing artists Monica Coyne and Karen Cadelario. An opening reception will be from 5:00 pm to 8:00 pm. Come with your own best mask for the masquerade! Show will run through November 5, 2012. Queensrÿche is a Grammy Award-nominated band that broke into the mainstream with the 1988 concept album Operation: Mindcrime. Tickets are on sale now. Reserve your seats by phone, online or in person at Chinook Winds Box Office. Reserved Seating Tickets: $20- $30, must be 16 or older to attend. Calling all fun-guys and fun-gals to the Yachats Village Mushroom Fest! Savor wild forest mushroom cuisine, expert led mushroom walks, talks and exhibits, culinary and fungi arts workshops, culinary mushroom markets, wine tasting, and live entertainment. Guided mushroom walks and exhibits are FREE and open to the public. We are fortunate to have some of the region’s and the world’s leading fungi experts participate in this event. Come join us! Friday and Saturday from 10 am to 5 pm and Sunday 10 am to 3 pm. Our chefs will showcase the best of what’s available from our fabulous fall harvest on the coast. Think crab, mushroom, squash, pork, greens …Need we say more? Cost: $50, including meal and wine from 11:00 am to 2:00 pm. Comedy on the Coast shows feature the funniest comics in the business! Shows are held in the Chinook Winds Convention Center, on the second floor of the Casino. There is a no-host bar, and doors open at 7:30pm for the 8:00pm start. You must be at least 21 years old to see the show. Learn the secret to making delicious pasta dishes that will delight your family and friends any time of year! Cost: $50, including meal and wine from 11:00 am to 2:00 pm. This facility will be open during daylight hours from spring through fall and will be closed during the winter. You can’t get any closer to your food than pulling it out of the ocean with your own two hands, cooking it up, and eating it warm right out of the shell! The Farm-to-Table movement is taking the country by storm and we here at the Harborview are a big part of it. Here on Tillamook Bay we call it the Bay-to-Table movement. We are located right out on the Port of Garibaldi, surrounded by Tillamook Bay. You can walk to two crabbing piers as well as walking about 100 yards to the Bay bottom at low tide and harvesting 5 different varieties of Bay clams. Weather and ocean conditions permitting, every day colorful hand-blown glass floats are placed on the beach. If you find a float, bring it to the Lincoln City Visitors Center at 540 NE Hwy 101 to receive your certificate of authenticity and a biography of the artist who made the float. Family Friendly U-Pick Pumpkin Patch, Hay Rides, Corn Cannon and more! Ryan & Shawna Mahaffy welcome you to make it a day in the country! Tuesday, Wednesday & Thursday mornings reserved for field trips! Oregon Coast Farmer’s Markets are in full swing, offering fresh organic produce, local artisans, crafts, baked goods and more. Visit our website for a complete Farmers Market Directory of the Oregon Coast! 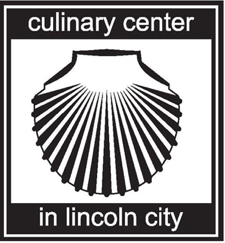 The Culinary Center in Lincoln City is a great place to expand your culinary horizons. From cook-offs to classes there’s something to fit everyone’s experience level. The Culinary Center features seasonally-inspired cooking and focuses on the abundant foods of the Pacific Northwest. They feature locally grown and raised foods…from organic vegetables to grass-fed natural meats, prairie-raised chickens, and of course, the Oregon coast’s vast array of fresh seafood and shellfish. Check out their website for a schedule of class times, demos, and events. Justin Wills was born and raised a world away from his current home on the Oregon Coast. Growing up in Des Moines, Iowa, he was more likely to eat pork than foraged edibles. But by 12, Wills knew he wanted to be a chef, and at 17 he was enrolled in the Culinary Institute of America. Today, as chef/co-owner of Restaurant Beck, overlooking Whale Cove in Depoe Bay, Wills has quickly risen to the top ranks of Oregon’s food scene. Check out his website to see a few of his tips for an exploration of Oregon Culinary. Come check out Oregon’s oldest oyster farm, founded in 1907. This is where fresh Yaquina Bay oysters are grown and harvested daily. This family-owned “micro-distillery” is located in the lush, rugged coastal forest outside the town of Brookings, in “America’s Wild Rivers Coast.” Come see the art of brandy making, take a tour of the distillery, and sample the “fruits of our labor” in the tasting room. Tuesday through Saturday, 1-5 p.m. Open March 1st through the first weekend of January. Other times by appointment. Performances are at the ASOC Playhouse, 129 West Bond Street, Uniontown Astoria. (Right behind the Astoria-Warrenton Chamber of Commerce).every Thursday, Friday and Saturday evenings with the box office opening at 6:30pm, doors at 7:00pm and show time 7:30pm. Sunday Matinee and box opens at 1:00pm, doors at 1:30pm and show time 2:00pm. A celebration of Latino art, exhibits, movies, dances, workshops, and a special Dia de los Muertes (Day of the Dead) Presentation, hosted by the Oregon Coast Council for the Arts and Centro de Ayuda. Location is in the Runyon Gallery at the Newport Visual Arts Center, 777 NW Beach Drive. Join us on this driving and biking adventure as we explore the wild beauty of the Oregon Coast and the 3 Capes Scenic Loop. This 8 hour intermediate ride is suitable for most skill levels. Tours are available year round, rain or shine. View Astoria’s historic waterfront from the decks of the Christina Cousteau, a 40’ Tollycraft Yacht with heated cabin and restrooms. Along the majestic river you’ll pass Pier 39 (the restored Hanthorn Bumble Bee Seafood Cannery), the Coast Guard Station at Tongue Point and almost always encounter singing sea lions. Follow many of the routes blazed by Lewis & Clark in 1805 as you travel through the Lewis & Clark National Wildlife Refuge and Twilight Creek Eagle Sanctuary, where you often have the opportunity to view Bald Eagles, Osprey, Great Blue Herons and Canada Geese amongst the abundant waterfowl. Rise above it all on a zip line tour at High Life Adventures. The new zip line park is the first of its kind on the Oregon Coast and is located in Warrenton, just a few miles south of Astoria. Soar like an eagle through the trees and over a lake while zipping your way around the 35-acre property. Zip-A-Dee-Doo-Da, let’s go! Tour options range from 5 lines to 8 lines and average 2–3 hours to complete. Founded in 1937, Seaside Aquarium is one of the oldest aquariums on the West Coast and the descendants of some of the founders are still active in the operation. Two new seal pups joined the popular group of entertainers last June. The old-timey Aquarium boasts one of the best captive breeding records for Harbor Seals in the world. The Tillamook Treasure Map tour series has six (6) different Treasure Map Tours; each on a separate waterway with a separate history presentation. Kayakers will find a “collectible” treasure on each paddle and can redeem them at the Pioneer Museum afterward. Serious treasure hunters can also purchase a Treasure Map and collect a treasure stamp for each tour and receive a special reward after collecting all six stamps. Families with children can request a privately arranged tour, which would be the most family friendly experience. Discounts are offered for children. We recommend you call to reserve the equipment ahead of time. There is no charge, but credit card info will be held until the equipment is returned. We are stewards of the sea and the lake and the land. We live and play in a stunning corner of the world, and our residents and visitors are committed to protecting it as best we can. Working side-by-side with guests to our area is the most enriching way to do that. Working side by side you become one of us. This phenomenon has been coined “Voluntourism”. So we are proud to offer a variety of projects to enhance your vacation. Located on the northwest shore of Devils Lake in Lincoln City, Blue Heron Landing- Boat and Bike Rental features boat and bike rentals, moorage, refreshments and boat fuel throughout the spring, summer and fall months. The boat line-up includes canoes, kayaks, paddleboats, aluminum motorized fishing boats, recreational boats up to 120 hp, pontoon boats and waverunners. Bicycles are mostly new Trek Navigator 2.0 “comfort” models. Stop by have some fun, or simply to feed the Chinese Grass Carp! Call Captain Carrie Newell at Whale Research Eco-Excursions for a once in a lifetime whale watching experience. A marine biologist, Captain Carrie knows the traits and history of almost each and every whale that comes back to Depoe Bay each year. You’ll get up close and personal, too, aboard their 6-passenger, super-safe boats. June through September is the best time to see the summer resident Gray whales. Bike Newport is the largest bike shop on the Oregon Coast. They offer clean, safe & comfortable facilities for cycle tourists including a fully stocked shower, bathroom and laundry facilities with a lounge and wireless internet access. The shop is located at 150 NW 6th Street in Newport. A private Oregon Surf lesson lasts about 2 hours and takes place at Otter Rock or Agate Beach in the Pacific Ocean. Learn the basics from friendly, experienced instructors. Lessons are tailored to fit your schedule and match both your level of experience and individual personality. Besides surfing the waves, Ossies Surf shop offers Kayak lessons and rentals. Check out the website for additional information on prices and destinations. Kayak, Boat & Stand Up Paddle (SUP) the Yaquina River from any of three free public boat launches near Toledo. The Yaquina is influenced by tide, so paddlers can ride the tide both directions if they time their trip near slack tide! Take the family for a free bike ride to enjoy the coastal sites in and around Waldport. Green Bike Co-op is located in downtown Waldport at Hwy 101 and Arrow Street (next to Espresso 101). Visit: http://rideoregonride.com, click on cycling maps and scroll through to “Lincoln County Bike Map –south” to download free local bike routes! Historic 804 Trail: From the sandy beach at the north end of Yachats, south to Smelt Sands State Park and Yachats State Park, this oceanfront trail provides expansive ocean vistas and access to tide pools and pebbled coves. Portions of the trail are wheelchair accessible. Easy walking. Amanda Trail: A moderate hike from the north trailhead on Yachats Ocean Road features panoramic ocean views and lush coastal woodland. From the statue of Amanda the trail is a strenuous climb to the summit of Cape Perpetua. Dedicated in memory of Amanda, a blind Coos woman who suffered injustices during 1860s’ reservation years. Gerdemann Botanical Preserve’s Public Footpath: Located in north Yachats, a public footpath on this private property offers a magical walk along a small creek midst big-leaf rhododendrons sheltered beneath a canopy of native coastal woodland. Fairly easy with some steps. This peaceful 3-mile river trail meanders through a quiet, forested area before entering the stunning Oregon Dunes National Recreation Area. Home to kingfishers, plovers, river otter, mink, deer, raccoon, and beaver; as you approach the ocean, you may spot seals and harbor seals. Explore the Siltcoos on a family-friendly kayak trip with NorthWest EcoExcursions. From North Bend’s Old Town to the bayside “Hollering Place” in Coos Bay’s Empire district, this new history walk honors paths developed by Coos tribal ancestors that connected their bayside villages and hunting grounds. In the 1850s, thirsty loggers, mill hands and shipyard workers walked the route to the saloons in Empire City. This urban trail combines side streets, parks and footpaths in 5.6-mile and 2-mile trail options; trail markers with QR codes designate 35 points of historical and horticultural interest along the way. A free map, available at local visitor information centers and online, provides details for following the trail by foot, bike or car. New in Gold Beach-Let South Coast Tours take you on an adventure paddle on the Wild Rivers Coast and out into the near shore reefs along the Southern Oregon coast. Go fishing, wildlife viewing or simply enjoy gliding across the waterways of the banana belt coast of Oregon. The south coast offers some of the best fishing, photography, wildlife viewing and wild rivers on the West Coast. South Coast Tours offers fully equipped 2.5 hour and 4.5 hour 4 person trips in both freshwater and in the Pacific Ocean when nature allows. Enjoy the breathtaking beauty, abundant wildlife, and pristine wilderness of the federally protected Rogue River canyon. Hiker-Biker campsites are open areas for walk-in or bike-in camping. These campsites are to be used solely by visitors arriving at the park on foot or bicycle. There’s always room for hikers or bicyclists even when regular campsites are full. You won’t hear this from the local fisherman, but word is out that the fish are bitin’ in the river. If you want the inside story of what kind are being caught, what bait to use, where to purchase a fishing license – just pick up the phone and dial the Concierge desk at the Cottages at Cape Kiwanda. We will be able to arrange a 6 to 9 hour fishing trip with a local guide, purchase a fishing license, and even order a box lunch for your day on the river. Find the warm comforts of home away from home. Bunk rooms for kids, free use of board games and binoculars. Check out their fun special packages for a small extra fee: the BEACH BONFIRE PACKAGE includes firewood, roasting sticks for marshmallows and hotdogs, a beach mat and bag. The KIDS’ BEACH PACKAGE is just $25 and includes two kiddy kites, beach toys, snacks, a beach ball, beach towel, a list of local family-friendly destinations, and unlimited DVD rentals. Little Creek Cove is the only hotel in Newport, Oregon, that is on the beach. Cross the lawn and you have private access to miles of sandy beach and ocean. We offer a selection of one- and two-bedroom condominiums, as well as studios, all situated for maximum privacy on beautifully landscaped grounds. Stay a week, pay for only six days! Get one night free when you stay for a week or more at Little Creek Cove. Or take $10 off your stay at Little Creek Cove. $20.00 OFF Regular Room Rates Sunday thru Thursday during the month of October, 2012. Special discount may not be combined with other discounts and is not available on Beach Houses. Nature awaits you! Edgewater is located on the historic “Big Stump Beach; one of the longest sand beaches in the state and perfect for kite flying. Hiking and cycling trails abound. Rent a Kayak in Alsea Bay or borrow a green bike in Waldport for a ride along the beach. Watch for whales or walk the dog. Discover the Alsea Bay Interpretive Center or try your hand at catching Dungeness crab off the docks in Waldport. Enjoy the sunset, curl up with a book in front of the fire (firewood provided), fall asleep to the sound of the surf, awake at dawn and search for sand dollars or sleep in late! A true “mom & pop cottage establishment,” Edgewater Cottages has been family owned and operated since 1962 serving generations of “kids, dogs and well-behaved adults.” We are centrally located on the Oregon coast, milepost 158.3, between Yachats and Waldport. We are located directly on the Sandy Beach, just steps from your room. Walking South, when the tide is low you can see a wide variety of sea life on the rocks and in the tide pools. An abundance of starfish in shades of purple, orange, red, and yellow live on the under side of the rocks. Urchins and mussels are also plentiful, in an amazing display of sea life in their natural surroundings. Just past the rocks are stairs connecting to the 804 Trail. From the Trail blow holes and spouting water offer another natural show. Heading North there is open beach great for running your dog, flying a kite or making sand castles. We have a toy box full of sand toys for creating your own sand sculpture. Our volleyball / badminton net is set up for playing on the lawn. Picnic tables overlooking the surf and barbeques available for our guests combine for a perfect cook out. Whatever you choose to do Silver Surf is the perfect launching point. Our downstairs rooms and cabins are all DOG FRIENDLY, so your best friend can run and walk with you on the beach. Beach access is easy and Dogs love staying here! Driftwood Shores Resort and Conference Center is located on Heceta beach. Heceta beach is a beautiful flat beach perfect for walking and exploring. Our property is just minutes away from other fun activities such as horseback riding, sand boarding, golf, art and fine dining in our historic “Old Town” district located on the Siuslaw River. Our property is centrally located with two major highways accessing the city. Highway 126 is a beautiful wooded and mountain road that follows for long stretches along the Siuslaw River taking you through small towns and past a lovely covered bridge. This highway is popular for both bicycles and cars. Highway 101 is a coastal highway following the Pacific coastline very popular for bicycle tours and adventures. Hwy 101 passes the exit for Driftwood Shores making it an easy trip to our property where you can enjoy comfortable lodging, fine dining and amazing ocean views.